CENTRAL CITY - Zada Inez Fairchild Lightbody, 89, of Central City, died Wednesday, August 30, 2017, at 7:45PM at Kindred Nursing and Rehabilitation. Mrs. Lightbody was born November 1, 1927, in Muhlenberg County. She was a nurse aide at Muhlenberg Community Hospital, and attended Luzerne General Baptist Church. 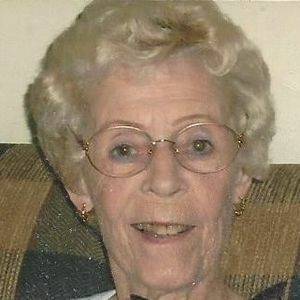 She was preceded in death by her parents, Orville and Louise Fairchild; sister Barbara "Bob" Wilson; and brother Wayne Fairchild. She is survived by her sons, Terry Stirsman of Owensboro, Greg Stirsman of Beechmont, and Kelly (Rhonda) Stirsman of Greenville; granddaughter Jill Latham; and great-grandson Cody Latham. Funeral services will be Saturday, September 2, 2017, at 1:00PM at Tucker Funeral Home in Central City, with Bro. Kerry Vincent officiating. Burial in Evergreen Cemetery. Visitation will be Saturday after 11:00AM at the funeral home. Online condolences may be made at www.tuckerfuneralhomes.com. The beautiful and interactive Eternal Tribute tells Zada's life story the way it deserves to be told in words, pictures and video. I have such fond memories of working with Zada at the hospital. We made a few trips with Bob to dance the night away! Terry, Greg, Kelly & Family - you are all in my thoughts & prayers.